The hard work of blogging about potato and tortilla chips can take its toll on even the most prolific internet artists, so I am currently on vacation. 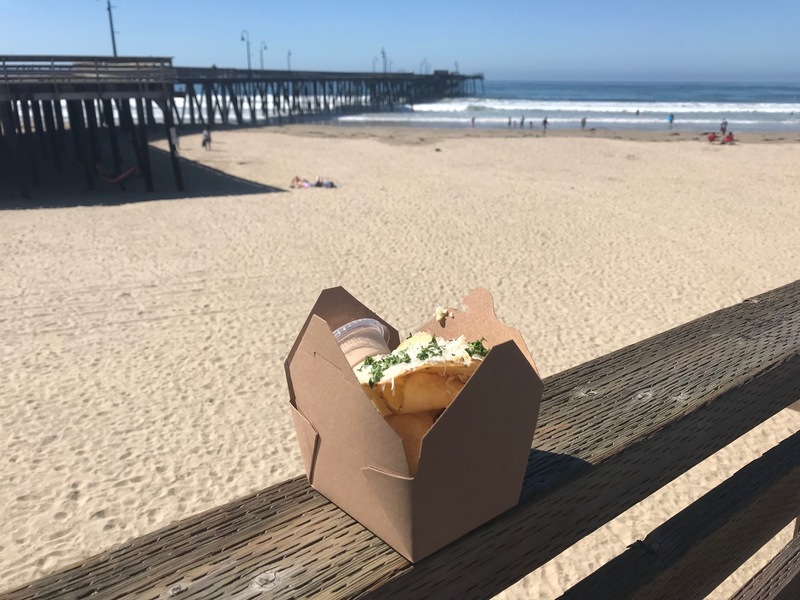 But because of my calling to cover the potato chip market in its entirety, a total coincidence compelled me to take a break from vacation for this article. That coincidence? We found a restaurant here in town that focuses entirely on one thing: Potato chips. You are reading that correctly. 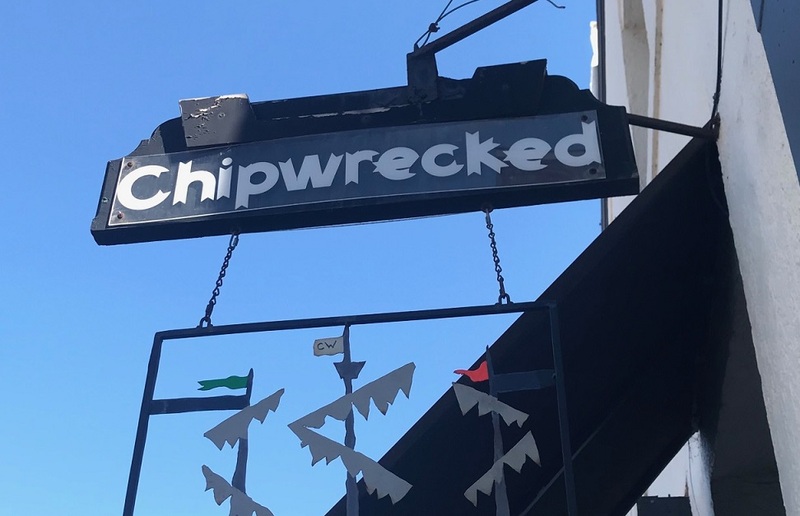 There is a little hole-in-the-wall specialty restaurant here in Pismo Beach, sandwiched between two novelty t-shirt stores, called ‘Chipwrecked.’ They have around 20 different chip flavors on their menu available to tourists and locals alike. So did I immediately walk in and ask to try every flavor? Beg for a job? Offer to scrub the deep fryer in exchange for intravenous chip consumption? NO! Because they were closed for the first, like… three days of my vacation here. As far as I’m concerned, that was nine total opportunities for me to enjoy potato chips, which is kind of a shame if you think about it. 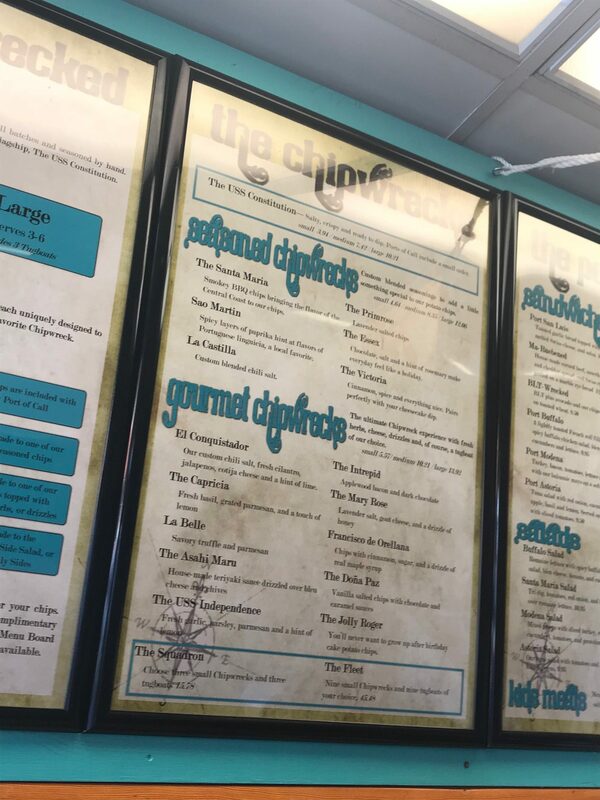 But when the dust settled on an apparent maintenance issue, I stood in front of Chipwrecked’s humble entrance and thoroughly reviewed the menu. Inside, the small pirate-themed seating area sits about six comfortably, but I would be getting my “boat” of chips to go, and heading to the beach so the ambiance was a moot point. There were savory flavors, sweet flavors and a few “wtf” flavors, but I suppose if I ran a small chips-only restaurant, I’d probably get a little weird with it too. So what about the chips themselves. As far as I could tell, the woman running ‘Chipwrecked’ is more obsessed with the world’s greatest snack and deep fries the potatoes made-to-order. There aren’t like giant boxes of chips sitting around with those big plastic scoops you see in the bulk foods aisle of your local grocery store. She made my order after I ordered it. Incredible dedication to the craft. They’re quite good, too. And this is coming from someone who has tried and failed twice (okay 100% failed once, and like 50% failed the second time) at making my own potato chips. It’s an art, and it goes without saying that I appreciate the craftspersonship of being able to deep fry thinly-sliced potato in a consistent enough way as to not disappoint the consumer. Chipwrecked gets four stars out of five from me for execution, seven stars out of five for concept, but two stars out of five for price. I wanted to try more flavors (and probably will), but it’s not *cheap* to sample the flavors at Chipwrecked. They also have sandwiches, but who the hell orders a sandwich from a restaurant that focuses on homemade potato chips? !